Save the date! 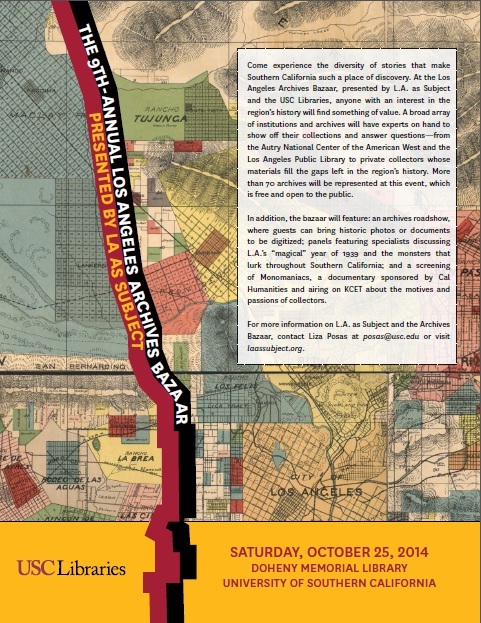 LAPNet will be a participant in the 9th Annual Los Angeles Archives Bazaar on Saturday, October 25th. Previous Water Salvage Workshop, May 2014.